I’ve finally got down to blogging again and I must say, it feels really good! I’m back now and hopefully you guys can expect posts from me, either twice or thrice a week! For my second blog post for this week, I thought I’d share with you guys one of my very recent and favorite OOTD’s that I wore to the beach – I know, a funnel neck isn’t really beach attire, but it works, so who really cares? This gorgeous blush-toned funnel neck top is one of those items that I really do pat myself on the back for purchasing. 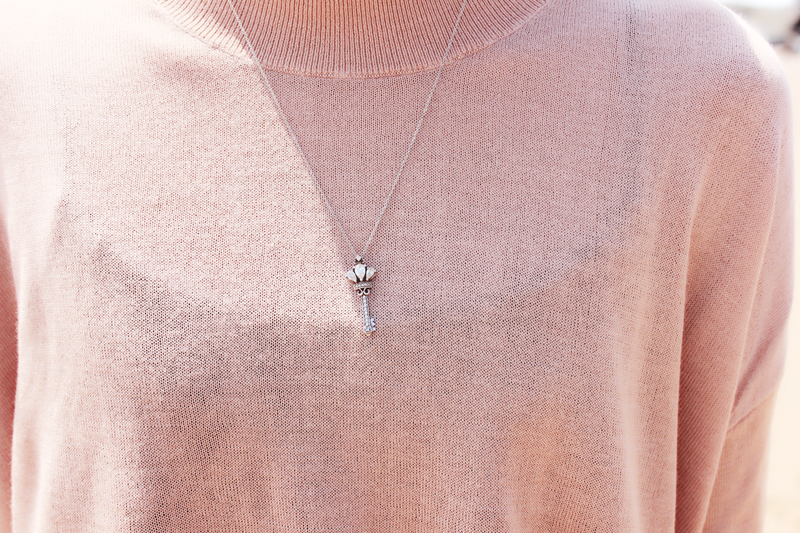 It’s so versatile, can be worn with a pair of jeans or a skirt and is perfect all year around. Even though it is a knit, it is very, very lightweight and the long sleeves help to shield you from the sun! I didn’t want to add too much to this look, so I opted for a simple silver necklace and a pair of pointed pumps, which I purchased over a year ago and only wore for the first time with this look – yeah, I do that sometimes. I completed the look with a really basic turban that I created using a plain black scarf. 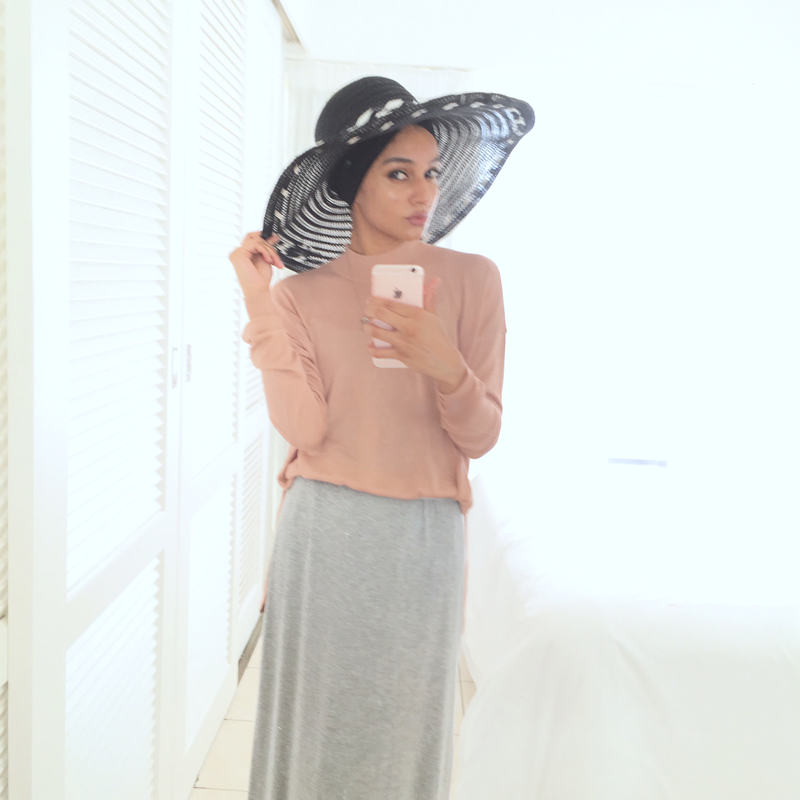 I chose a turban instead of a scarf as it really helped to show off the neck detail of the knit and turbans look amazing with sun hats – as you can see below! And that’s it! A really simple OOTD that’s perfect for the beach or dinner or shopping, actually it’s perfect for any occasion! And yeah, please excuse my tiny and sometimes closed eyes, I have difficulty opening my eyes in the sun 😞. Will you be attending Decorex Durban? Looking so pretty, wish i could pull off a look like that with such ease and grace as you do .